Over the past decade, Avira's made a name for itself with a free basic antivirus package to get users started with an antivirus solution. By 2012 Avira became one of the largest providers in the antivirus market. Avira was founded in 1986 by Tjark Auerbach in Germany. Avira currently employs over 500 specialists in their Tettnang, Germany headquarters. They specialise in providing quality antivirus and computer security solutions with a simple user interface. Pros: Easy to use and install. 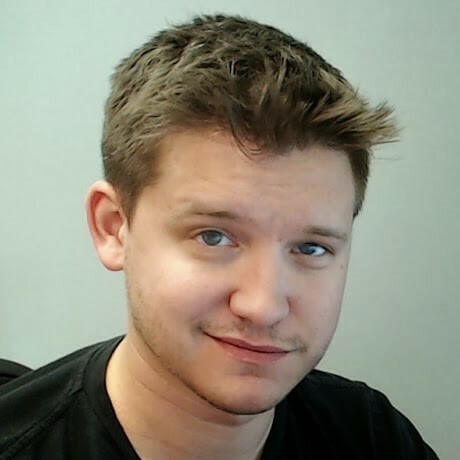 Number one in file detection rates. Top tier real time detection rates. Cons: Above average pricing. Limited parental controls. Don't like reading? Watch our Avira video review instead! Avira Antivirus Pro - Includes a reliable antivirus, web browsing protection, e-mail attachment protection, secured online shopping and technical support for 1 PC or Device. Avira Internet Security Suite - Includes web browsing protection, e-mail attachment protection, a reliable antivirus, secured online shopping, technical support, faster system startup utility, file encryption, junk file removal and a memory booster for 1 PC or Device. Avira Ultimate Protection Suite - Includes e-mail attachment protection, web browsing protection, secured online shopping, a reliable antivirus, faster system startup utility, technical support, junk file removal, memory booster file, file encryption, and a driver updater utility to ensure hardware is running at peak performance for 1 PC or Device. Avira is definitely one of the easiest to use antivirus and Internet security software packages available. Whether you purchase the Avira Antivirus Pro, Avira Internet Security Suite or Avira Ultimate Protection Suite, you'll find yourself with an easy to use and intuitive dashboard. Once you launch Avira you are greeted with a system status that displays the overall security of your system. You can then easily navigate and manage your system scanner, real time protection, firewall configurations, web protection setup and email protection. At this point you can also optionally install and configure the Facebook, Google+, Twitter or Friends.me social network security features that are included in your package. There was only one somewhat confusing element when it came to the installation and running of the Avira Ultimate Protection Suite. Since the suite includes both a driver updater and a system speedup utility, these utilities are actually separate software packages you'll need to install. This isn't necessarily a bad thing, but it's something to be aware of when you purchase the product. Both the Avira System Speedup and the Avira Driver Manager are great additional tools to have on your system to improve overall performance, but they aren't necessary if you're only looking for internet security. Perhaps the most exciting part of Avira is the reliability of its antivirus and security features. When compared to over 20 antivirus packages, the real time protection included in the Avira antivirus software package is some of the best available on the market. This means that many viruses will be caught by Avira's real time shield before they even enter your system. On the off chance a virus gets through the real time shield offered by Avira then you'll need to rely on file detection. But the good news is, file detection is where Avira really shines. When compared to over 20 major antivirus packages, Avira came in first place for file detection rates. 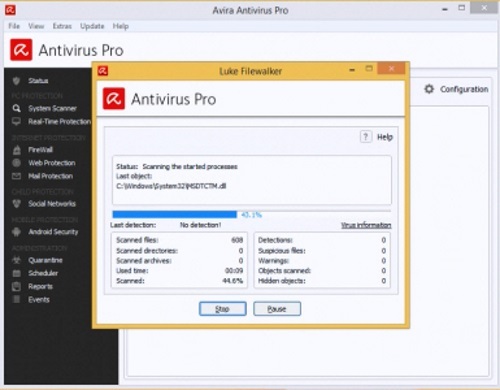 This makes Avira number one in not only the detection of viruses on your system, but also the removal of those viruses. Avira includes the same virus protection in all of the security products they offer. This includes Avira Antivirus Pro, Avira Internet Security Suite and the Avira Ultimate Protection Suite. Each package will allow you to install the full software on one PC or device. Avira has many software support options right on their support webpage. At the support site you will be greeted with a comprehensive question and answer knowledgebase. If the knowledgebase doesn't have what you're looking for then you can contact them either by email or telephone. The support doesn't stop there. Avira also offers a collection of video tutorials and manuals to its user base completely free of charge. These added resources will help you get the most out of the Avira antivirus package. If the first two support options still don't get your issue resolved then you can also resort to their paid premium services. Paid premium services will let you work with technicians on the repair and remove any software or virus issue you might be having with your machine. Avira uses a unique community and reputation method for picking which technician you'd like to work with. Avira may be number one in file detection rates and nearly number one in real time protection, but it comes at a cost. While it's not the most expensive antivirus package in the market, it still comes at a £29.99 for a single licence. This makes it above average in cost compared to other antivirus packages. Avira, like many of their competitors, also offers a 30-day money back guarantee. If you have any questions or concerns with your purchase you can get a full refund within 30 days, no questions asked. 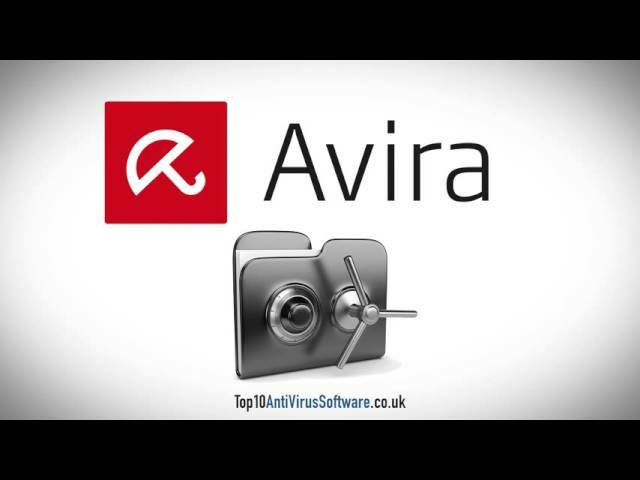 Avira offers top of the line real time protection along with some of the best file detection at a reasonable price. The driver updater and system optimisation suite included in their higher level packages are great additions to consider as well. If you're looking for some of the best virus protection on the market then Avira may be for you.